The United Nations said Wednesday that it has conducted its first humanitarian mission to Raqa since the Syrian city was liberated from the Islamic State group, warning that returning civilians face enormous risks. 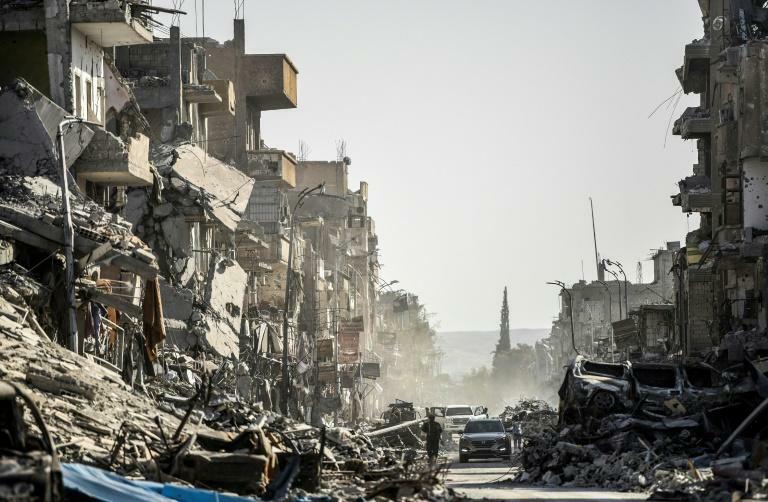 The city, which IS proclaimed part of its "caliphate" in 2014, is littered with unexploded devices, the head of the UN's Syria humanitarian taskforce, Jan Egeland, told reporters in Geneva. "Homes are still full of bombs (and) grenades. Children are still being maimed and killed," Egeland said, after receiving a report on the visit, which was carried out in recent days. Roughly 100,000 people have returned to Raqa since IS was flushed out in October by fighters backed by a US-led international coalition. Egeland said another 100,000 displaced people are waiting near the city and want to go back. Compounding the risks of returning is the near complete absence of basic services including water, electricity and healthcare. "It is incredible to have a city with nearly 100,000 people and no public services," the UN official said. "There is no real police (or) law and order." The battle against IS in Raqa included a heavy bombardment by coalition jets and left much of the city in tatters. Egeland said the extent of the devastation observed by the UN team again raised the question of whether it was "necessary to totally destroy (Raqa) to liberate it." Relief work in Raqa had been carried out by local civil society groups, but Egeland said the UN expects to start its own humanitarian operations in the city soon.